On April 4, 2012 Goodwill Industries of Alberta, Grande Prairie Community Employment Programs and Services received a $12,500 grant from the United Way of Grande Prairie and District to support our employment programs for individuals with disabilities in Grande Prairie and area. Thanks United Way. We appreciate the support. 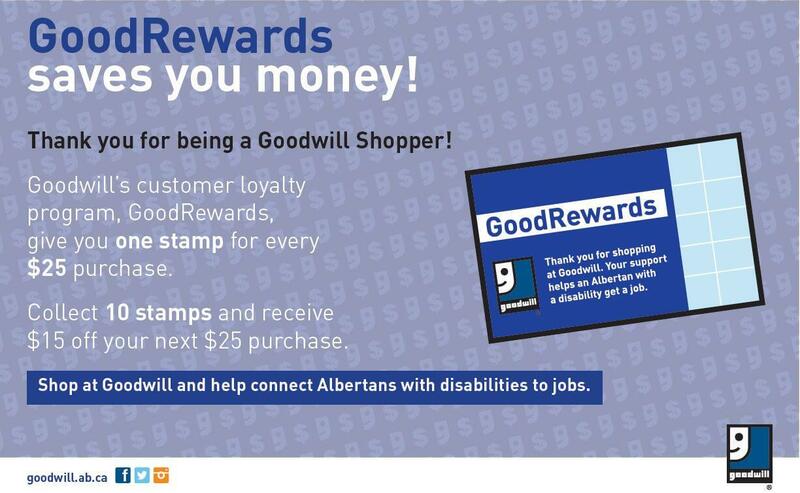 Goodwill is hosting its 16th Annual Awards Night in Edmonton on May 9, during Goodwill Week. This event celebrates the great achievements of the past year from our individuals with disabilities, employees, supporters and many others. Awards will be given out in 12 categories. Stay tuned for stories from the awards recipients. Join us Saturday, April 28 to celebrate with store staff and the community the newly renovated Calgary TransCanada store. Discounts and specials all day. In 2010, goodwill diverted over 4.1 million kilos of product from landfills, and it is all thanks to our generous donors. To celebrate, we will be giving out a coupon for a 25% discount in our stores to everyone who donates on earth day, Sunday April 22. If you're spring cleaning this weekend, bring down your items to Deerfoot Mall in Calgary for their Recycling Round Up. Join us and the Electronics Recycling Association to donate your gently used household items and electronics. Join us on Saturday and Sunday, April 21 and 22 at the Edmonton Woman's Show for the Handbag Handoff. Happy Easter! 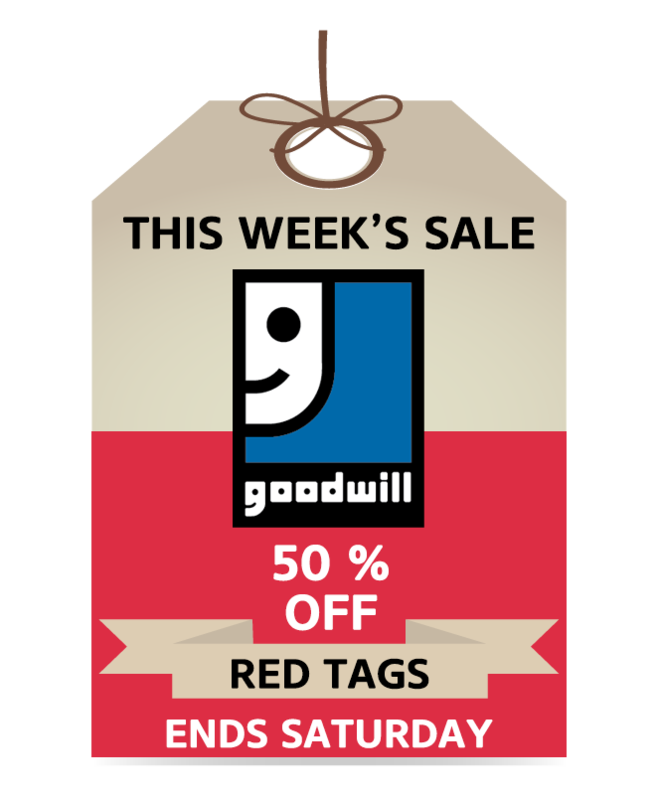 On Good Friday, Goodwill will be open from 9 AM- 6PM. On Easter Sunday, Goodwill will be closed. Have a happy and safe long weekend.